This bride and groom are standing in a dark section of Post Alley near Pike Place Market in Seattle, Washington. With such a bright background behind them, they are silhouettes and the background was allowed to blow out to white. 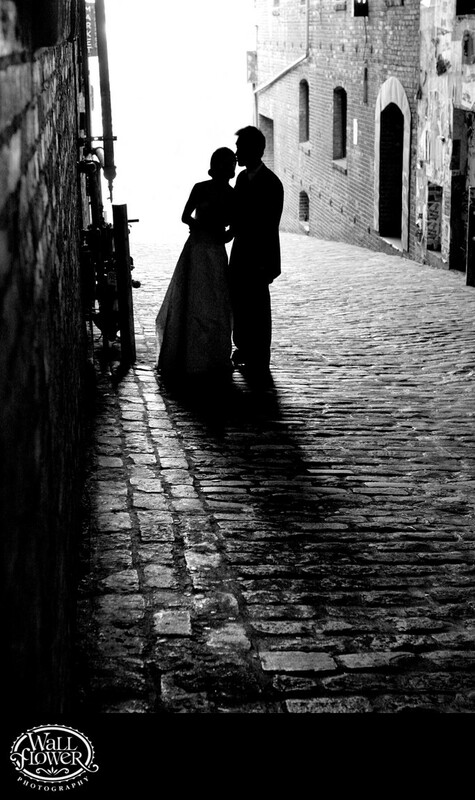 There's a lot of texture in the cobblestone street and brick wall, and the silhouette pose is just right, with pockets of space right where they need to be to create that clear definition between the bride and groom. The black and white effect rounds out the whole look.